A line of platinum clad mesh, wire, and rod anodes that are metallurgically bonded and more durable and longer lasting than MMO (mixed metal oxide) anodes is available from Anomet Products of Shrewsbury, MA. Anomet Platinum Clad Anodes are metallurgically bonded platinum to niobium or titanium, with or without a copper core for enhanced conductivity. 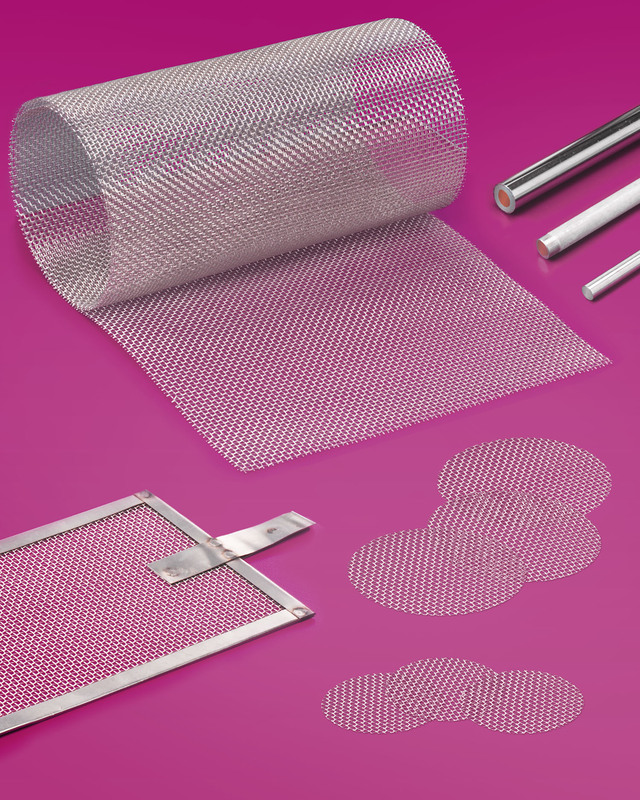 Featuring a dense, pin-hole-free and uniform structure that is more durable than plated mesh anodes, these platinum clad mesh anodes provide a more uniform current distribution with lower operating current densities. Designed for long life in electroplating processes, Anomet Platinum Clad Anodes can be supplied as rod, wire, and mesh in a variety of configura-tions including precut circles and squares. Woven mesh can be up to 24” W and wire and rod can range from 0.021” to 1” dia. and incorporate platinum thickness from 10 to 600 micro-inches, depending upon the application. Anomet Platinum Clad Anodes are priced according to configuration and quantity. Price quotations and free samples are available upon request.